Use the following diagram to connect your Photoresistor. 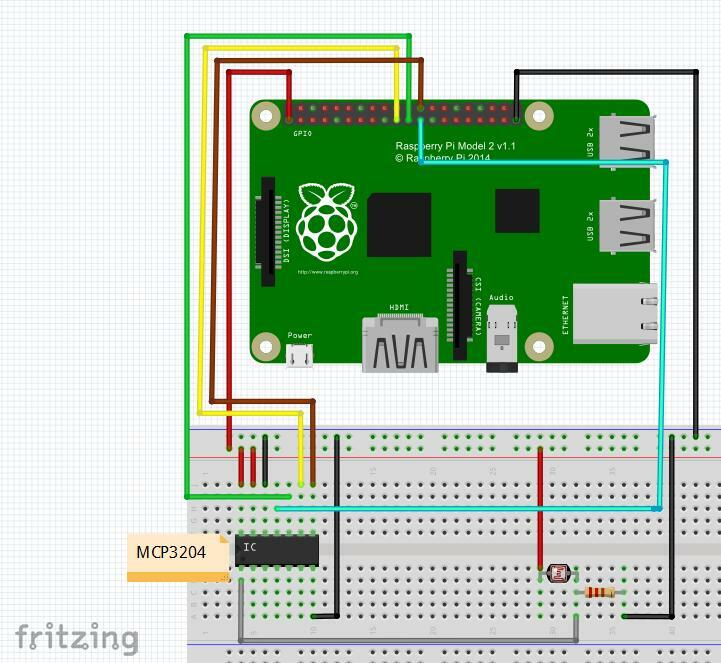 In order to use an analog sensor with the Raspberry Pi we must use an Analog to Digital converter. If you use CP3008 please kindly refer to diagram 1, if you use MCP3204 for this task, please kindly refer diagram 2 as above. Connect power from the Pi Cobbler to the Photoresistor. Connect the Photoresistor to ground through a 10K pull-down resistor. Connect the Photoresistor to the MCP3008/MCP3204. You’re done! You can now add the Photoresistor to your dashboard, using the MCP3008 Channel 0 to read values from the sensor.